Singapore street scene in Holland Village. Hyflux Membrane Manufacturing, one of the five Hyflux subsidiaries named in Hyflux’s announcement it was seeking a court-supervised reorganization, is a tenant of ESR REIT, with its lease representing 6.8 percent of the REIT’s rental income, the REIT manager said in a filing to SGX after the market close on Thursday. “Management has had discussions with Hyflux and its financial advisers. We believe that the property is essential to the continued operation of Hyflux Group’s business. As such, we believe that rental payments will continue throughout the reorganisation process,” the filing said. It added that it had an average of three months security deposits for the two Hyflux Membrane leases. ESR REIT also noted that the property, located at 8 Tuas South Lane, would lend itself well to be multi-tenanted as it was in an established industrial area, next to Singapore’s future port and maritime hub, Tuas Megaport, which is expected to be the largest container terminal globally once completed. It said it had been receiving leasing interest. Yoma Strategic said it planned to form a joint venture with Pernod Ricard to focus on producing and distributing whisky in Myanmar. Pernod Ricard was expected to become the largest shareholder, with the remaining equity split between Yoma Strategic, private equity firm Delta Capital Myanmar and U Htun Win and U Zaw Win, the “Win Brothers,” the filing to SGX before the market open on Friday said. The division of ownership wasn’t yet available. Pernod Ricard will “take the lead” on managing production facilities, the distribution network and brand portfolio of Access Myanmar Distribution Co., or AMDC, which is a current joint venture between Yoma Strategic, the Win Brothers and Delta Capital Myanmar, the filing said. That would include access to more than 40,000 points of sale, 43 major wholesalers, around 230 delivery vehicles and the High Class Whisky brand, the filing said. Pernod Ricard is the world’s second-largest wine and spirits player, with consolidated sales of 9.01 billion euros in its 2016-17 financial year, the filing said. The Win Brothers own a distillery group with facilities in Yangon and Mandalay, it said. Mapletree Logistics Trust said that its private placement of new units has closed with the issue price set at S$1.197 each, the top end of its S$1.165 to S$1.197 range. The placement was around 5.2 times covered after taking into account the upsize option and it saw strong participation from new and existing institutional, accredited and other investors, the REIT manager said in a filing to SGX on Friday, before the market open. 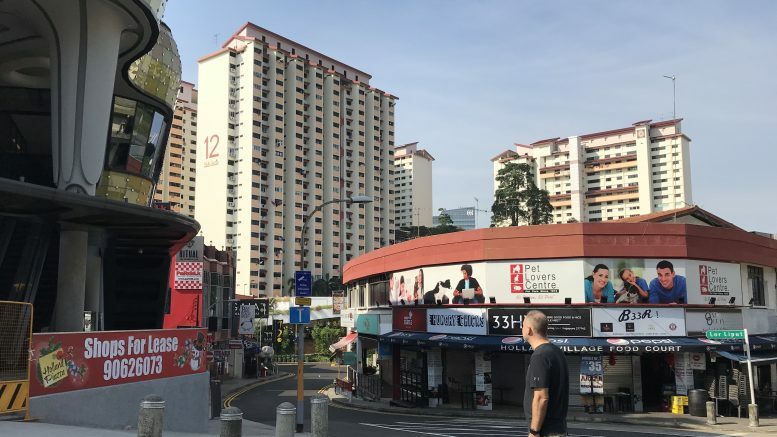 The issue price of S$1.197 a unit was a discount of around 2.25 percent of the volume weighted average price of S$1.2246 on 24 May, the date the placement was signed, the filing said. A total of 183.792 million new units will be issued, including the upsize option, with gross proceeds of around S$220 million, it said. The funds are earmarked for MLT’s proposed acquisition, announced in late April, of a 50 percent indirect interest in 11 grade-A logistics properties in China for around 985.3 million yuan, or S$205.3 million. Fraasers Property said a European subsidiary plans to acquire Netherlands-based LocMeppel BV from Acacia BV for around 25 million euros, or S$39.3 million. LocMeppel owns a new logistics warehouse with ancillary office space in the town of Meppel in the Netherlands, it said in a filing to SGX before the market open on Friday. The property is leased on a long-term basis to a dairy company, it said. Frasers Property said the deal would be settled on a cash basis, funded from internal resources. The deal isn’t expected to have a material impact on earnings in the current financial year, it said. Boustead Singapore said it entered a deal to buy WhiteRock Inc. from WhiteRock Medical Co. for S$19.016 million. WhiteRock Inc., or WRI, holds 16 healthcare companies operating in Singapore, China, Hong Kong, Malaysia and Thailand, the company said in a filing after the market close on Thursday. The acquisition price was roughly equal to WRI’s adjusted unaudited net asset value, based on WhiteRock Medical’s financial statements at the end of last year, the filing said. Boustead Singapore said it would pay the acquisition price in cash from its internal resources. WRI provides services and equipment for rehabilitative care, sleep care and sports science, aimed at serving healthcare institutions dealing with aging populations, the filing said. Contract manufacturer Venture said it bought back 32,300 of its shares on Thursday at S$20.48 each, for a total consideration, including other charges, of around S$663,165. That brings its total purchased from the date of its share buyback mandate to 312,000 shares, it said in a filing to SGX after the market close on Thursday. Mitsubishi UFJ Financial Group’s deemed interest in Accordia Golf Trust fell to 4.8059 percent from 7.1407 percent, the trust manager said in a filing to SGX on Thursday after the market close. The change was due to a decrease in shares held under Morgan Stanley, which is 20 percent owned by Mitsubishi UFJ, the filing said.